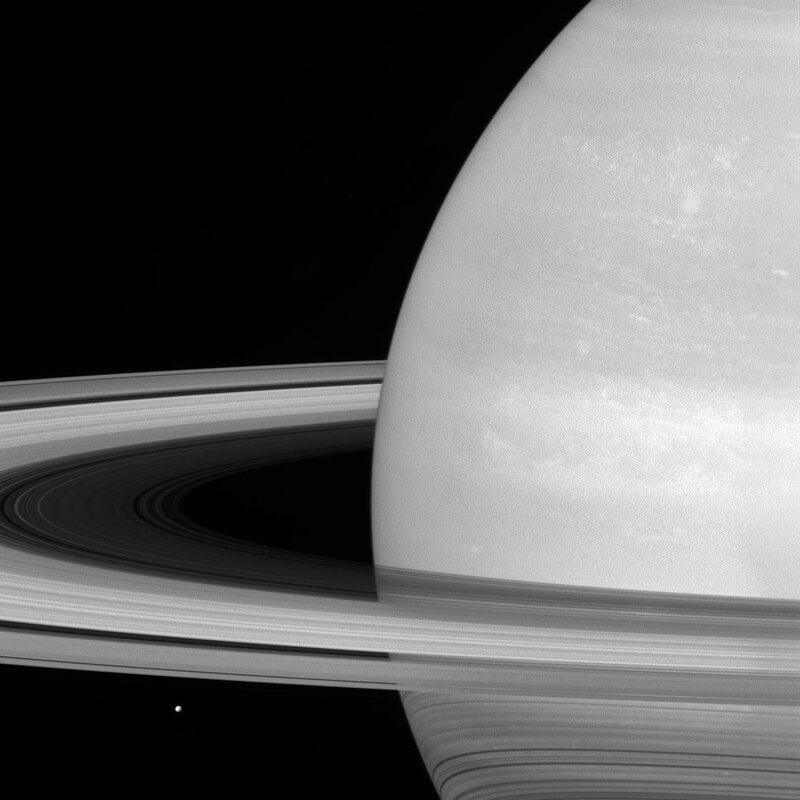 In this new image from the Cassini Spacecraft, Saturn’s icy moon Mimas is dwarfed by the planet’s enormous rings. 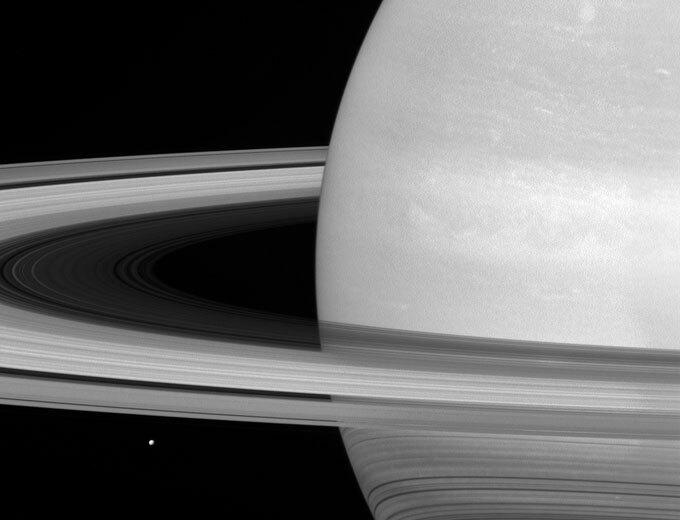 Because Mimas (near lower left) appears tiny by comparison, it might seem that the rings would be far more massive, but this is not the case. Scientists think the rings are no more than a few times as massive as Mimas, or perhaps just a fraction of Mimas’ mass. Cassini is expected to determine the mass of Saturn’s rings to within just a few hundredths of Mimas’ mass as the mission winds down by tracking radio signals from the spacecraft as it flies close to the rings. Be the first to comment on "New Cassini Image Shows a Tiny Mimas, Huge Saturn Rings"